Ellen Allien (born Ellen Fraatz) is a successful electronic musician, music producer and the owner of the music label Bpitch Control. She lives in Berlin, Germany, but travels extensively. She sings in both German and English. Allien has said that one of the main inspirations for her music is the culture of reunified Berlin; her album "Stadtkind" was dedicated to the city. Biography: 1989 - Ellen Allien lived for one year in London where she first came into contact with electronic music. When she later returned to Berlin, electronic music had become increasingly popular in Germany. 1989 - Ellen Allien lived for one year in London where she first came into contact with electronic music. When she later returned to Berlin, electronic music had become increasingly popular in Germany. 1992 - She worked in the "Fischlabor" where she got interested in DJ-ing. She later became a resident DJ there and also laid down tracks in the 'Bunker', 'Tresor', and the 'E-Werk'. At around the same time, she started her own show on the Berlin radio station Kiss-FM and created her own record label, calling them both "Braincandy." Due to discrepancies with distributers, she gave Braincandy up again in 1997 and instead, organized parties under the name "B Pitch". 1999 - Allien created the label Bpitch Control. With publications of Sascha Funke and Tok Tok the label became very successful. 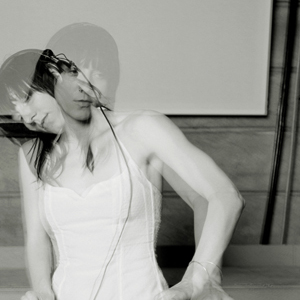 2001 - Allien released her first album, Stadtkind (City Child). 2003 - Ellen released her second studio album Berlinette, in collaboration with Apparat (aka Sascha Ring). 2005 - She issued her third studio album, Thrills. 2005 - Allien created a Bpitch sub-label for minimal tech and minimal house, called "Memo Musik"; first artists are Ben Block, and Zander VT.
2006 - Ellen Allien and Apparat released the album Orchestra of Bubbles. 2007 - Allien was the first female artist to mix for the Fabric series (Fabric 34: Ellen Allien). 2008 - She released mix album titled Boogybytes, vol. 04. 2008 - After the death of her grandmother, Allien released her studio album Sool. 2010 - Ellen issued the studio album Dust.